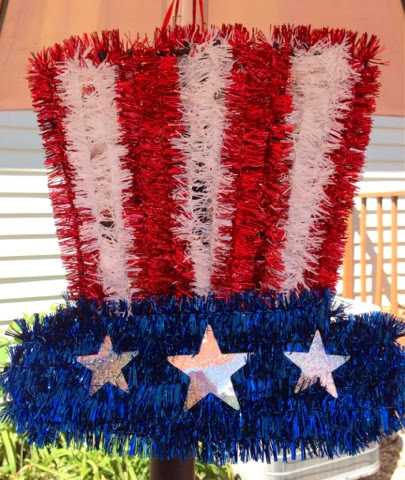 Hope everyone had a wonderful 4th of July last weekend. My family and I spent some much needed family time with Grandpa and Grandma. Its hard living several hours away from your parents. We were blessed to get to spend one whole week with them. I cherished every minute there. While we were there we hosted a cookout. It was so nice getting to see family I don't get to see very often. I think the cookout went very well. We served hot dogs and chili, grilled hamburgers, baked beans, potato salad, cabbage casserole and as a surprise to me my Grandma made homemade from scratch chicken and dumplings. We also had various scrumptious desserts to choose from. 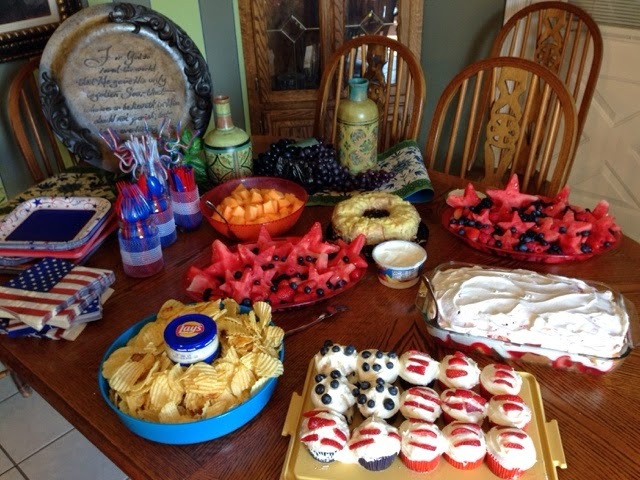 I loved our simple decorations and food layout. 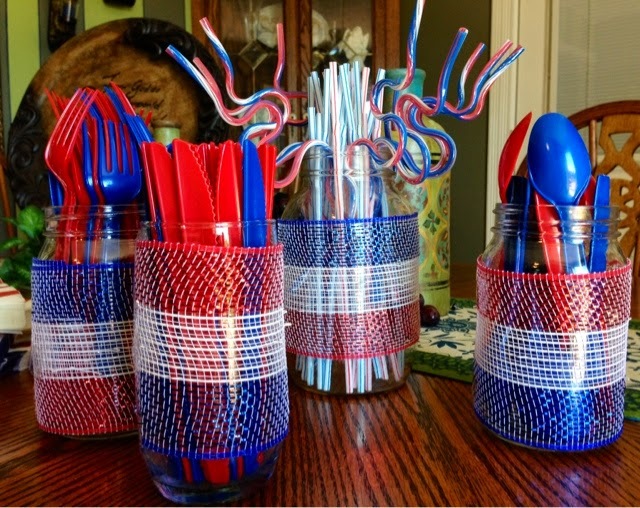 Here you can see we used a simple red, white and blue deco mesh that was wrapped around glasses to place the plastic ware and straws in. I loved the curvy straws. I picked up the last 2 packs of those at the Dollar Tree. 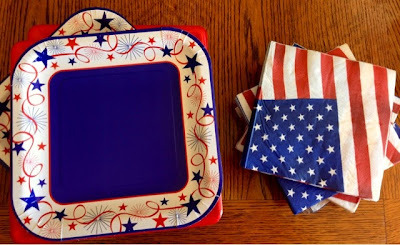 Even the plates was themed red, white and blue. Grabbed these at the Dollar Tree also. We bought two of these hats and placed them together. Another Dollar Tree find. 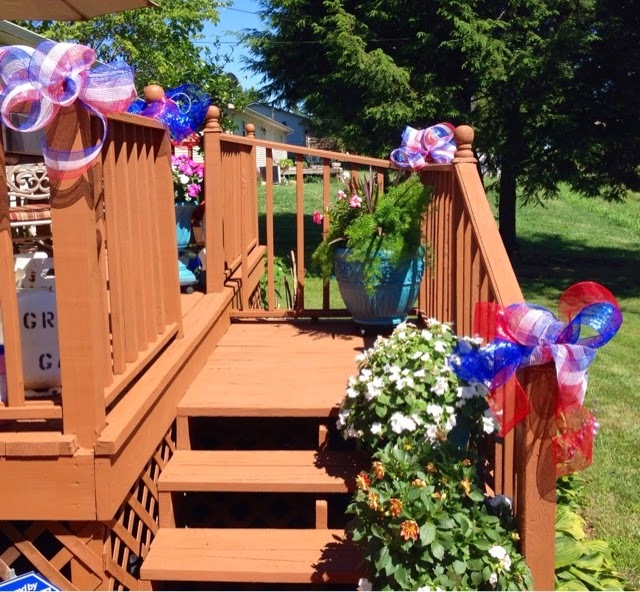 We used the extra deco mesh to make bows around the deck to help make things festive. I found this table topper at the Dollar Tree. I thought it was cute. It added to the spirit of the day. 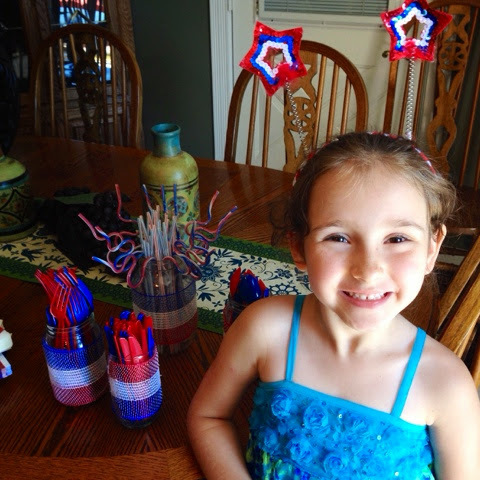 Here is my daughter being all festive wearing her 4th of July headband, that I also got at the Dollar Tree. I am starting to think I buy lots of stuff at the Dollar Tree. This was the one of the fruit trays I made for the party. 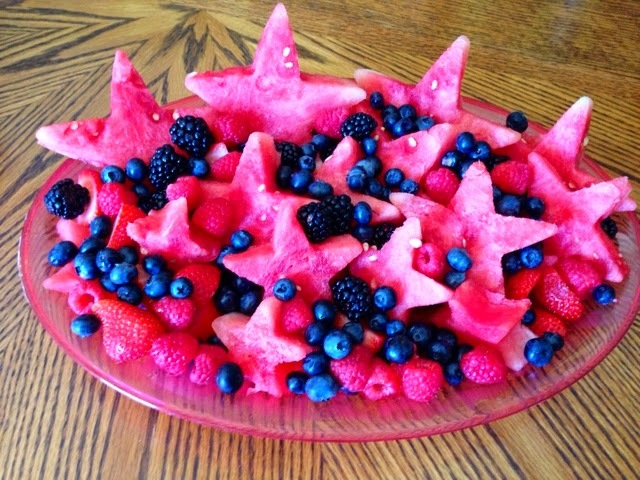 I used one whole watermelon, strawberries, blackberries, raspberries and blueberries. This was a big hit with the adults and the kids. 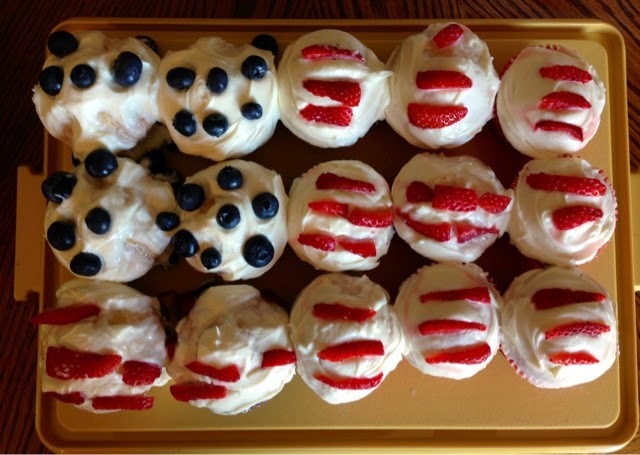 I tried to make a flag that I saw on Pinterest with the cupcakes. It was harder than what I thought. The strawberries had to be cut into thin slivers to be placed on top. I am wondering if I would have used a stiffer icing if the strawberries and blueberries would have stayed in place more. This dish was another big hit with the kids. Due to the temperture outside and the way the sun was shining at the time of eating, we decided to serve the food inside and then let guest go outside to eat. This way it cut down on flies and everything getting to hot. The above picture was what the dessert table looked like. After we finished our meal, we talked for awhile then we broke out the volley ball and played until it was time to see fireworks. 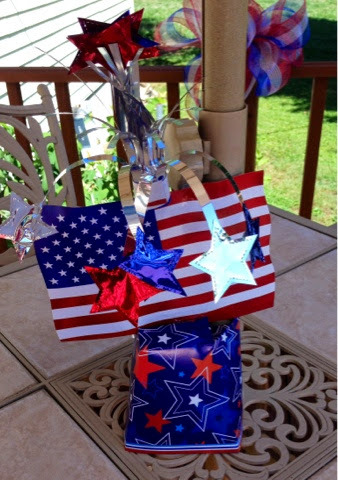 What did you and your family do to celebrate Independence Day?